A Representation Agreement authorizes your personal supporters to help you manage your personal or medical care issues or to help make decisions on your behalf if you need assistance due to illness, injury or disability. A Representation Agreement with Section 7 standard powers is a legal document for personal planning that is available to Adults who need help today because their mental capability/competency may be in question. A section 7 Representation Agreement allows the appointed representatives and in some cases, a monitor, to deal with routine financial matters and health and medical care issues for the Adult. Who may make an Agreement under Section 7? To make a Representation Agreement with Section 7 standard powers you must be an adult, 19 years of age or older. 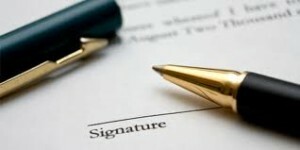 The legislation states that an Adult may make a Representation Agreement with Section 7 standard powers even if they cannot manage their own affairs or make decisions independently or sign a traditional contract. A Representation Agreement with Section 9 Enhanced powers is a legal document for personal planning which will give broader powers to the Representative, including the ability to deal with complex matters related to major personal care concerns and major health care matters. This document is used by Adults who want to plan for the future to cover all health and personal care matters possible. Personal care, such as, living arrangements, diet, dress, exercise, taking part in activities, obtaining licenses and permits, and personal safety issues. Your Notary Public in Sooke, Cheryl A. Vavra, is available to assist you with drafting your Standard or Enhanced Representation Agreements; she is available for house calls and hospital visits.